Tired of seeing meaningless hexadecimal values when working with blobs in your databases? 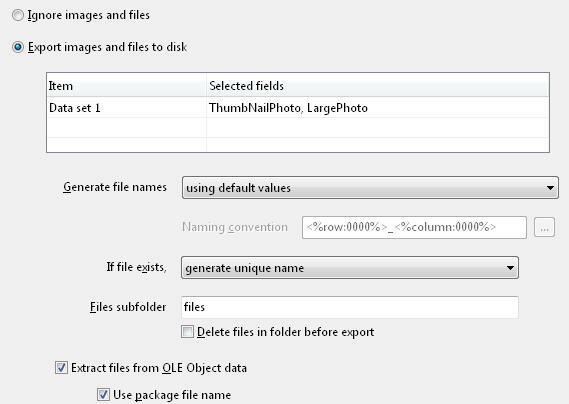 Let SQL Image Viewer make working with blobs easier and smarter. 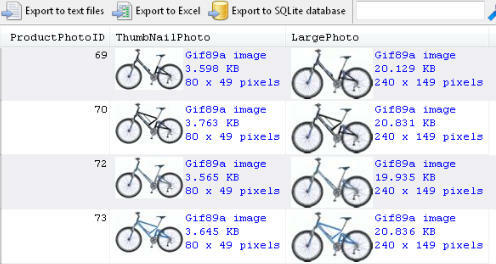 Images are displayed together with text data in your query results. 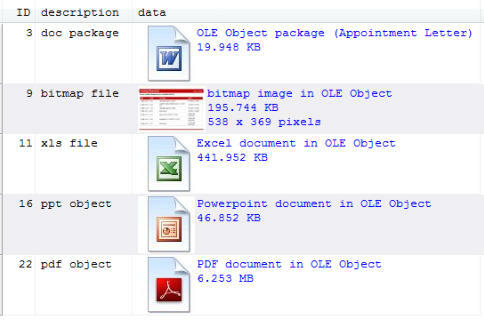 SQL Image Viewer recognises the following image formats: • jpeg, png, bmp • gif, tiff • dicom • wmf, emf Image attributes are also displayed with the image. 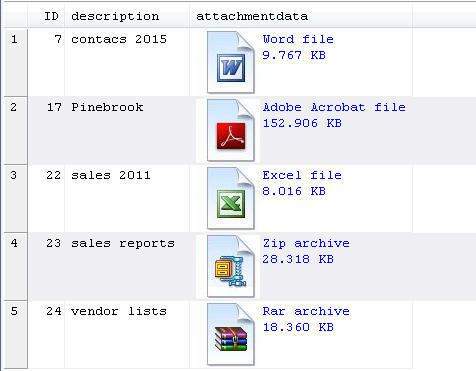 OLE Object data are easily identified. Working with legacy OLE Object fields? SQL Image Viewer has you covered. 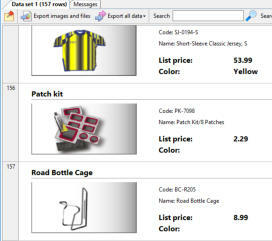 Embedded and packaged images and files are identified for you. Export images and files. Export to text files, Excel spreadsheets, and SQLite databases in a few simple clicks. 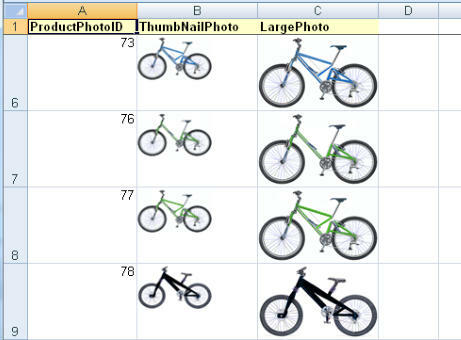 Embed images in your Excel spreadsheets. Make your Excel spreadsheets more informative. You do not even need to have Excel installed to perform the export. Connect to multiple database engines. Set up once, export multiple times Use the SQL Image Viewer command line interface to export your data, images, and files at periodic intervals. 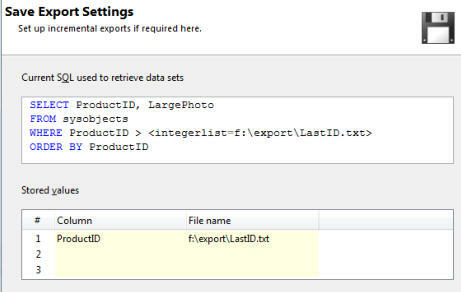 Incremental exports are supported, so you can choose to export only new items that have been added into your tables. 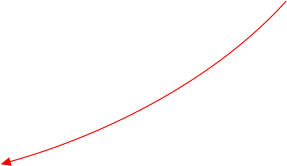 A Professional Edition license is required to use the command line interface. Download a free 14-day trial now, and start extracting images and binary data from your databases faster and easier than ever before. Get answers to commonly asked questions, like how to export millions of items, is your database supported, and more. 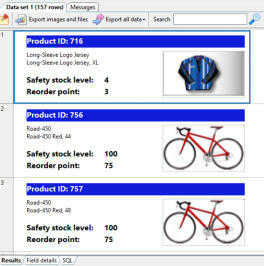 Compare the feature set of different editions of SQL Image Viewer. Customize how you want your images and textual data to be displayed Custom layouts help you display your data exactly the way you want it to be. The possibilities are endless, and your layouts can be reused to display data from different result sets. A Professional Edition license is required to create and use custom layouts.